Dogs lead ensures that while you’re out with your dog, you and your dog stay safe and unharmed, and also keep your dog from running off where you can’t keep an eye on him. Buying the right lead for your dog is important; there are many questions and factors that go into play when buying a lead for your dog. Is it too long or short? Is it sturdy enough? Should I have a harness? Is it optimal for lead training? So understandably, buying the right lead for the reasons you need it can get a bit confusing but don’t fret, this guide is here to help you choose the right one for you and your canine. There are many different style of dogs lead that each has own purpose; some are used specifically for obedience training, others are used by police forces. Which one you choose should be based on what you ultimately want for your dog. So, let’s first go over the most common materials. Leather leads are the most popular kind of lead and are praised for their durability. They’re the most comfortable for both owner and dog as they stretch a little bit. 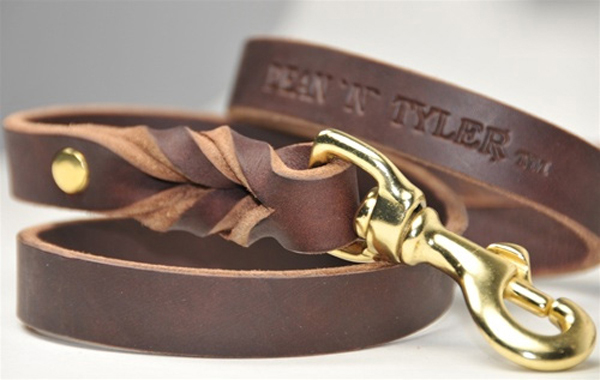 A leather lead can also withstand a dog chewing on it and show no signs of damage. Keep in mind that higher quality leather will last longer. Nylon leads are probably the most inexpensive leads available. They are quite strong and sturdy and also dry quickly if they get wet. The downside is that when your dog gets a hold of them there won’t be much left. They damage quite easily and if they are rubbing against your hand or wrist, chafing may occur. 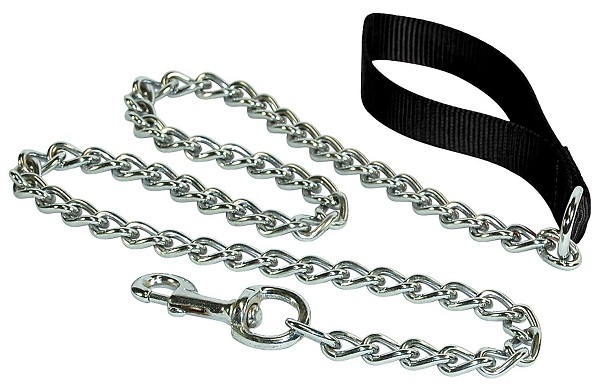 Chain leashes may be useful for owners who have particularly large dogs, or dogs that like to chew on leads. They are usually made from steel, and any dog who is put in a chain lead should be watched at all time as they can damage their teeth by chewing the lead and your pup can also become easily injured from the weight. Choosing the right material for your lead is entirely your choice and should be based on what’s best for your dog. Picking a style is somewhat similar, your decision must be based on what you think would benefit your dog and what you want to get out of the lead. Standard dogs lead is the most common type and most commonly used. It enables the dog and the owner to walk comfortably and engage in basic training but it won’t allow you to correct your dog over long distances. If you already have a trained dog then a standard lead is ideal for you. 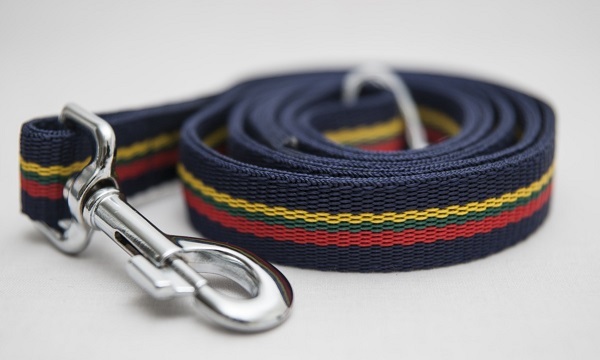 The length of a standard dog lead is between 1.2 m – 1.8m. Show leads are generally made for the well trained show dogs that do not require obedience training. A well trained dog does not require strength in the lead so these are usually made just for appearances. I would not recommend this type of lead for a new puppy or a dog who pulls while on a lead. 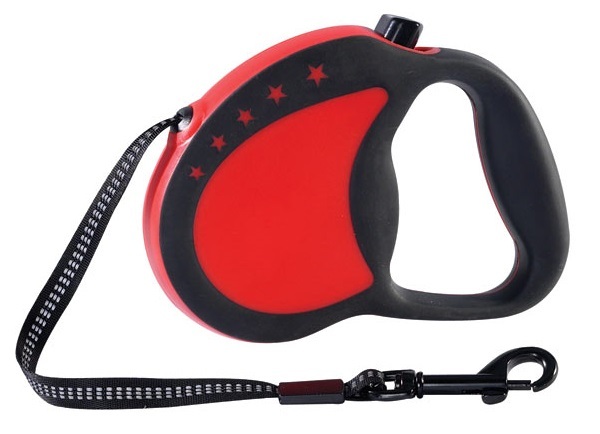 Bike dogs lead is perfect for people who like to cycle and exercise their dog at the same time. Not every dog will enjoy this type of lead, small dogs for example usually lack the stamina a big dog has to run along side you. You need to determine if this is the right workout for you and your dog. 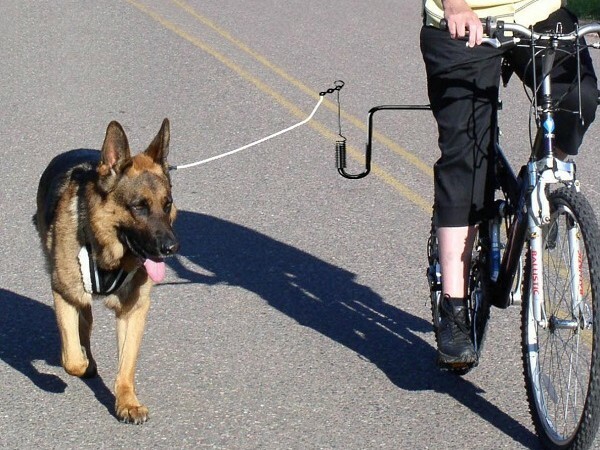 This lead usually includes features like a spring system to stop the dog from deterring the bike off track. Long leads are usually used in search and rescue missions, or for someone who wants to give their dog complete freedom but does not wish to lose him. These leads are definitely not recommended for obedience training. Dual handle lead is very similar to standard ones, with the only difference being the handle where the lead meets the collar. 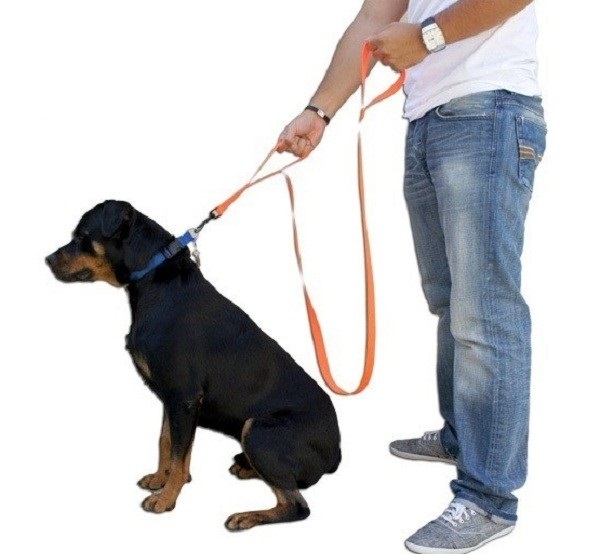 This is usually ideal for someone who is walking a dog in a big city or near plenty of traffic so that you have the option to stop the dog quicker, or pull the dog closer if needed. Retractable lead is great for an owner who has the option to give his/her dog more space and freedom but also wants the dog close by as the length can be shortened or lengthened to suit individual needs. The only issues with a retractable lead is they are not very sturdy so a large dog who pulls a lot will probably not benefit from this, they are also not recommended for obedience training. Whether you have a small or large dog, a puppy or and older dog, a trained dog or a dog who needs training, a quality dogs lead is essential. Depending on where you live, whether your dog chews things up or not, how big or small they are and how much freedom they have, choosing the right lead is essential to ensure you and your dog safety, health, happiness and well being.